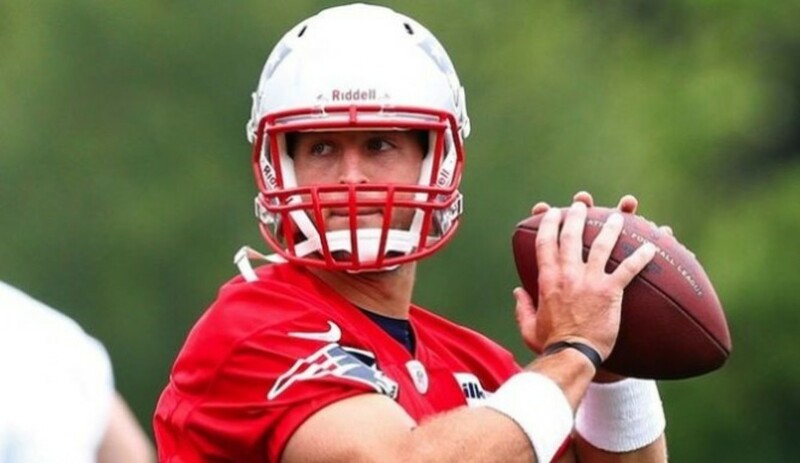 Tebow In training camp with the Patriots in 2013. There are several reasons why Tim Tebow didn't make it in the NFL. His throwing style was awkward, and his passing was inaccurate as a result. He adopted a run-oriented mindset early in his career that caused him to take off running when his primary receiver wasn't open or when he felt pressure. 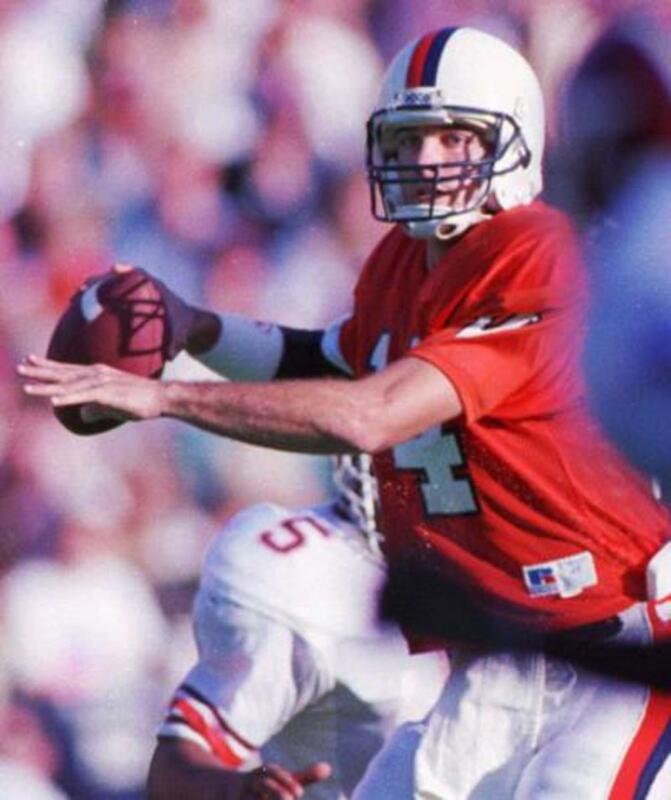 The most glaring reason why he failed as a quarterback in the NFL was because of the coaching he received in high school and at Florida. Tebow was never forced to develop into a conventional quarterback. Because he was big, strong, and could run, his coaches at the lower levels simply went with the flow and allowed him to run without helping him to develop other skills. As a result, he simply improved on what he naturally did well and got weaker at what he didn't do well; passing the football. Although he worked out on his own, there is no substitute for proper instruction, and it is apparent that Tebow didn't get any. Why else would NFL quarterback coaches have to work so hard with him on his mechanics? What were his high school and college coaches doing when he was in their practices? Was no one working with him on his footwork, stance, throwing motion, delivery, and following through then? It is a shame what his former coaches did to him and what they did not do for him. They simply passed him along to the next group of coaches who totally ignored his deficiencies and profited from his natural abilities. If there is a category of a lawsuit that could be brought against his coaches before his time in the NFL, I would advise him to pursue it. Because what they did to him and not for him was a crime. Tim Tebow entered the NFL followed by much fanfare and hoopla. With a very successful career at the University of Florida, capped by winning the Heisman Trophy and two national championships, Tebow was at the top of the college football world. Primarily a running quarterback, he bashed, bruised, and pummeled his way through his college career and with good reason. At 6'3" and 230 pounds, he was built like a fullback and ran like one. At the conclusion of four years of literally manhandling the competition, Tebow came to the NFL with the same questions surrounding all players making the jump. Will he be successful playing at this level? Will his talents translate to professional football? Tebow would get a chance to answer those questions in Denver, Colorado. 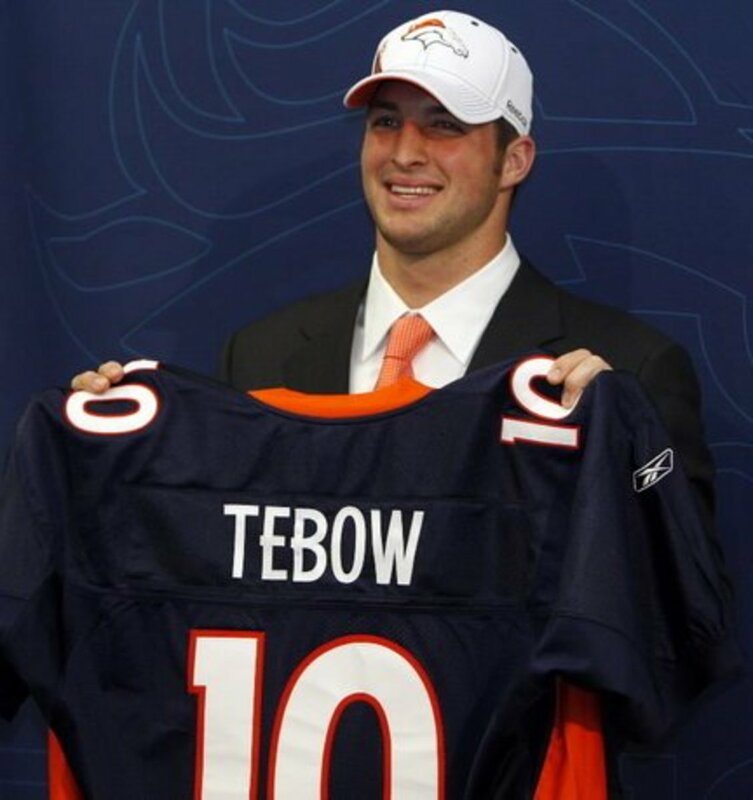 Tim Tebow on Draft Day In 2010. At Florida, Tebow basically ran a read-option offense that allowed him to take the snap from center and decide if it was best to hand off to the running back, pass, or run the ball himself. 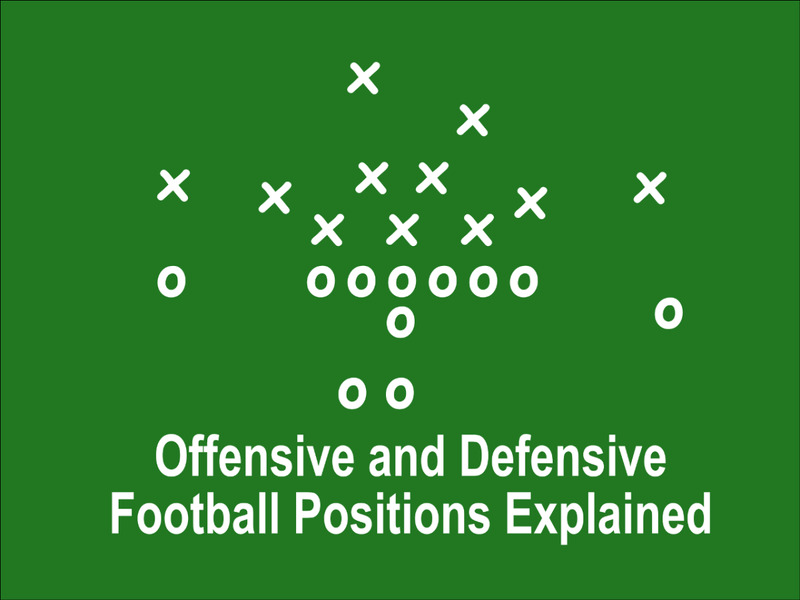 It was a pretty simple offense that eliminated the need to make hot reads of defensive coverages at the line of scrimmage. When he arrived in Denver, many wondered whether he would be able to adapt to a more pass-oriented offense or if the Broncos would modify their offense to his skill set. That concern was not an immediate consideration since Tebow was not a starter or projected to be one in the near future. During his rookie season, Tebow saw little action. Most of his time was spent holding a clipboard and wearing headsets while learning the NFL game. 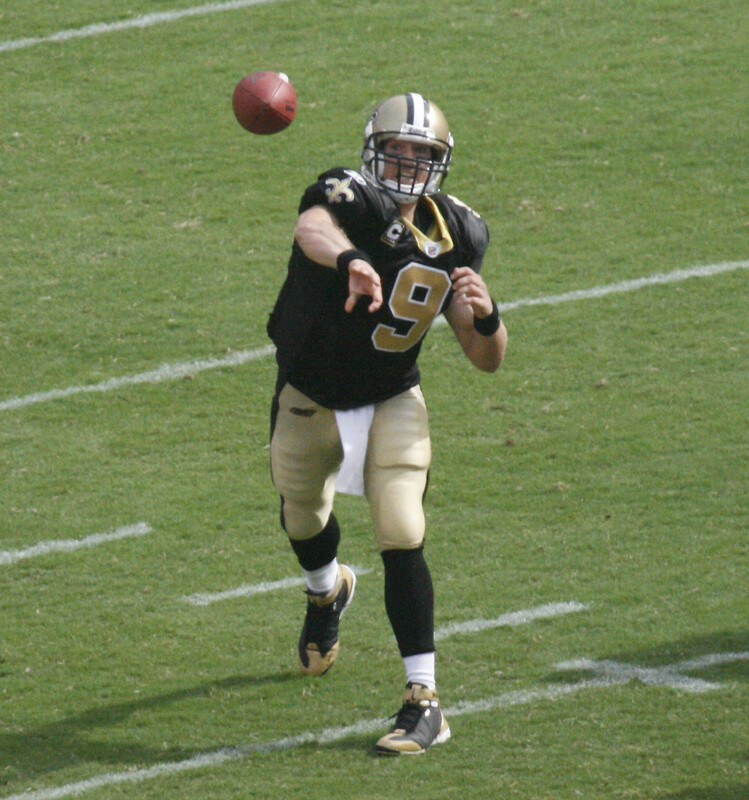 By the end of the season, the inconsistent play of veteran quarterback Kyle Orton had fans screaming for Tebow to be inserted into the lineup. Tebow with the Denver Broncos. Beginning his second season in Denver, Tebow still found himself behind Kyle Orton on the depth chart in spite of him starting three games at the end of the 2010 season and experiencing minor success. Undaunted though, he bided his time waiting for his opportunity to show what he could do on the professional level. Orton once again played poorly in the first four games of the season and the chants for Tebow could soon be heard in Mile High Stadium. Although he was the second string quarterback, he was a popular figure and a fan favorite in Denver. Head coach John Fox was faced with a difficult decision; stay with Orton or go with the fan favorite. By the fifth game, Fox knew he had to make a change, and he chose Tebow. Tebow made an immediate impact. A once sluggish offense came to life. Fox modified his offense to more of a read option which Tebow was familiar with, but the team was rejuvenated nonetheless. After securing the starting quarterback position, Tebow lead the team on an eight game winning streak that lasted until the Broncos played the New England Patriots. They went on to lose the last two games of the season but a last week loss by the Kansas City Chiefs qualified the Broncos to make the playoffs. 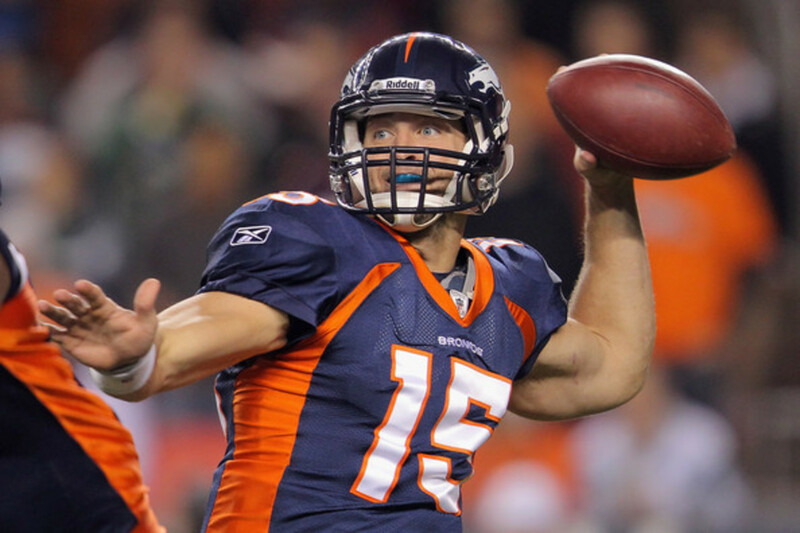 After experiencing success during his second year in Denver and taking the Broncos to the playoffs, everyone, including Tebow, thought that he would be a lock for starting quarterback in the next season. However, the loss to the Patriots caused trade rumors to begin circulating. Even though he had been successful, the possibility of getting Peyton Manning as a free agent along with the continuing criticism of his quarterbacking style fed the rumor mill concerning him being traded. Player operations manager John Elway tried to quell the rumors about Tebow's supposed trade status by saying he was the team's quarterback moving forward. But anyone who witnessed his proclamation could tell his heart wasn't in it and almost as soon as Peyton Manning officially became a free agent it was a done deal, Tebow was traded to the New York Jets thus ending his tenure in Denver. 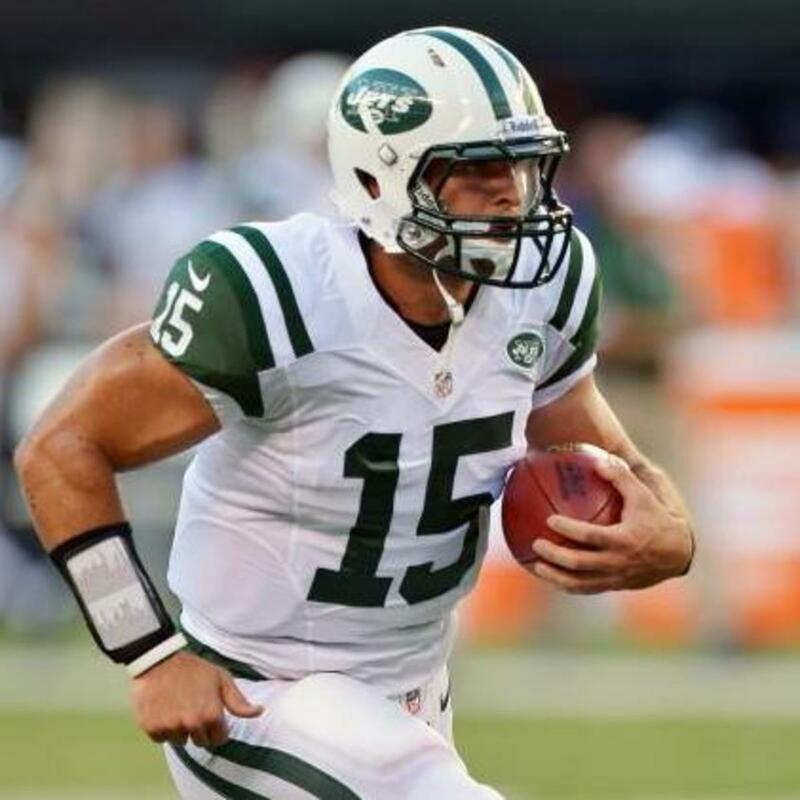 Tim Tebow with the Jets. The Jets developed packages (plays) for Tebow to run in the game that were primarily running plays rather than passing ones (because they didn't see him as a real quarterback—now is the above sentence making more sense?) The plays, as you can guess and probably witnessed, did not do well since everyone and their grandparents knew that Tebow was going to do a running play. The defenses simply stacked the defensive line, waited for Tebow, and stuffed him at the line of scrimmage. It goes without saying that Tebow's tenure in New York was not highlight reel material and after the 2012 season he found himself unemployed and looking for a new team again. Tebow during a preseason game in New England. After a less than stellar stint in New York, Tebow was disappointed but not discouraged. He still felt that he could play in the NFL and was determined to still try if a team was willing to give him a chance. 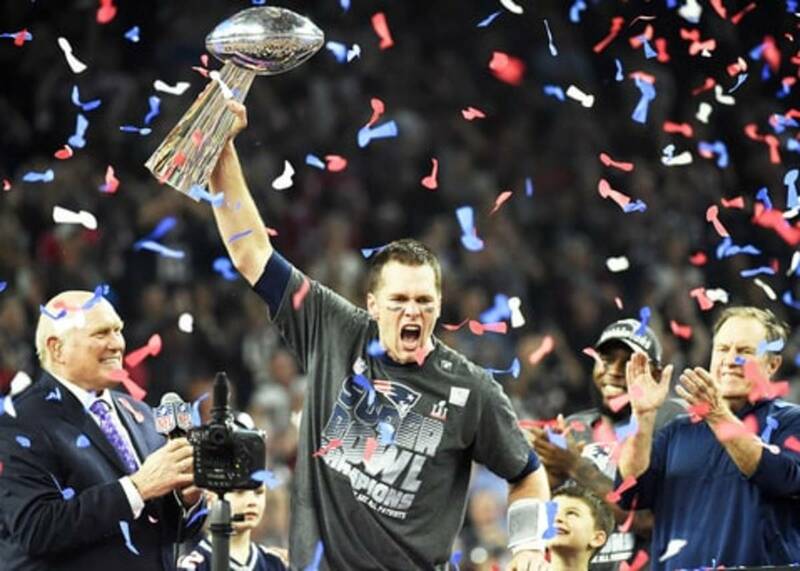 Enter Bill Belichick and the New England Patriots. It was believed around football circles that if anyone could make Tebow into a strong quarterback, it was Belichick. The Patriots allowed him to play the position to see if he really was NFL material. To make a long story short, he failed to impress the team in training camp and was released before the season opener. Although he put up decent stats, they were below the standard for an NFL quarterback, so he was let go. Upon his release from New England Tebow still tested the NFL waters but found no takers. He was forced into a premature retirement from the game that he loved and had played since he was a small boy in Florida. For all intents and purposes, his NFL career was over, and it was time to seek employment elsewhere. He got a job at ESPN doing college football commentary, and then he began to play minor league baseball, hoping to make it to the MLB one day. It was a sad end to a storied and highlight-filled career, but that is how it goes sometimes. Do you think Tebow's coaches should share the blame of his failure in the NFL? Tim Tebow was the fastest scoring QB per touch in the NFL since Dan Marino in 1984. Tebow scored 34 times in 549 touches in his first 16 games of playing time. They both threw a TD every 19.6 attempts. In 2010, Peyton Manning scored 33 TDs with 17 Ints in 697 touches Tim Tebow was 21% more efficient at scoring per touch than Manning in 2010/2011. The leftist NFL rejected Tebow because of who he is, not how he played. What about his CFL career. Didn't he play in Canada for a time? As stated above, he was NOT trained correctly at the High School level and therefore. was not ready for professional football. I don't think he would have been lacking any skills if he had been trained correctly in HS. I think he would have had a lucrative pro. career. Reading what Tebow has said, I don't think he will ever feel like he has been defeated in anything. He is a very strong Christian and he believes as one door closes another one opens. Wish him the best ALWAYS. Would be glad to call him my son. Best of luck Tim. Seriously, you advise suing your high school football coach. Smh. That's ridiculous. Let's be honest. Tebow has been overhyped and overrated since his days at Florida. What I found funny was the sports media especially Skip Bayless anointed him the greatest college football. 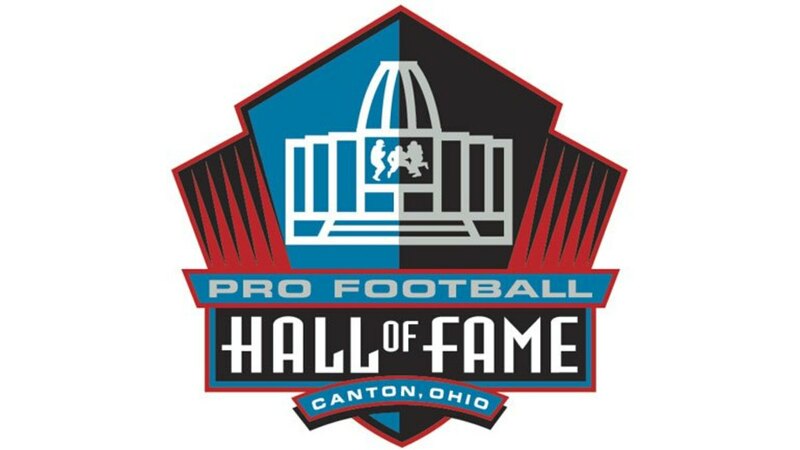 I guess they forgot about Jim Brown, OJ Simpson, Herschel Walker, Earl Campbell, Bo Jackson, Charles Woodson, and others who were heads above him. As a matter of fact, Tebow's career and overall performance didn't come close to that of the dominant Walker who carried Georgia to a title as a freshman and three consecutive title games. Just like Johnny Manziel, Tebow[s skills didn't translate to the NFL and he can't throw the ball accurately if his life depended on it. That's why he's now a circus attraction with NY Mets organization. To save his football career, Tebow should have switched to another football position. He was 8-4 as a starter in Denver and threw 12 TD's to only 6 picks and ran for 600+ yards and 6 rushing TD's that season they went to the playoffs and beat the Steelers in OT. Tebow inspired people to be better and I don't understand why people couldn't like that. He got screwed just like Doug Flutie. He got the team to the payoffs and then got thrown in the trash because they didn't like him. He has a better record than most of the active quarterbacks today that's for sure. Let Tim Tebow play for Cleveland Brown. I believed Tim is the best Quarterback for this team!!!!! Give him a chance he'll proves everybody wrong. Tebow was shafted by a mediocre Fox and an indifferent Elway. With a really good quarterback coach, like a Peyton Manning, he could have done very well. His win against the Steelers was a classic, and one of the finest passes I have ever seen. His body, running ability and strength of arm were supurb. He just needed a coach who was creative, talented and cared. Not a tragedy, but the Broncos will have to live with the memory when they retire. "Primarily a running quarterback "
"In the New England game Tebow was not allowed to run outside or inside forcing him to be a pocket passer." That's NFL quarterbacking. Don't you think Manziel had the same experience? 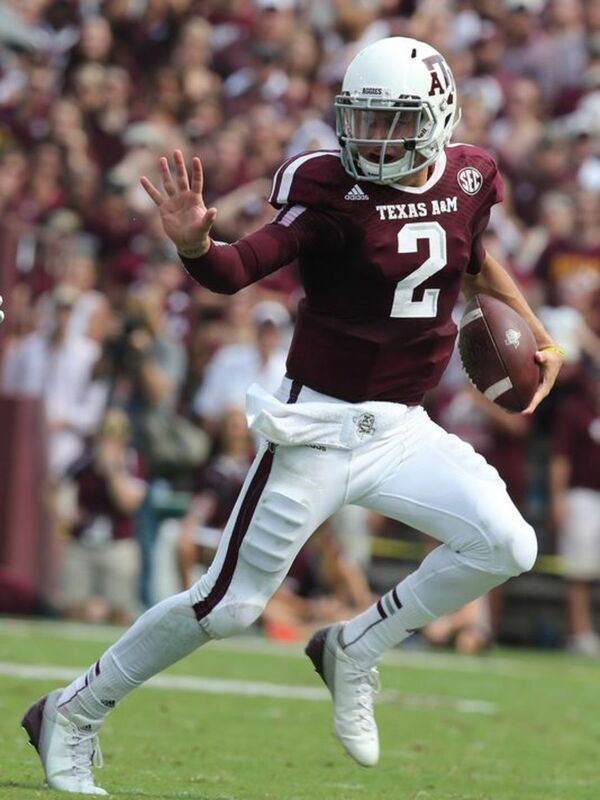 What are the odds of playing college football, much less pro, much less at QB? Tebow beat the odds and at a very young age has a financially secure future. Things could be worse. But I enjoyed the read. A lot of information I didn't know/remember. He is good but does have problems. I think that the broncos or the other teams kept him he will be starting and be good. His coaches made a bad choice . I like the article. I just don't agree with a few arguments. To say "he didn't make it in the NFL" is more of an opinion than a fact. He made it to the NFL. He was selected in the Draft. If you mean he was not successful, that would not be an accurate statement. He made it to the playoffs, and beat the Steelers. Many can argue he looked like crap in the process. And for the most part that is true. But its not about looking pretty. I've seen many QBs throw with all the right mechanics and still never see a playoff birth, or even a winning record. Its about wins and loses, and leadership. And Tim put a check mark next to all those. He brought life back to a team that quit on them selves long before he got under center. You put a QB under center that same year that does not have the physical attributes Tebow has, no way you make the playoffs. It was because of all of his unorthodox play that allowed him to make a difference. And I would imagine he had many coaches, friends, fathers, uncles, pastors, etc. telling him about his throwing style. I'm sure he read the news and seen what the analyst were saying about him. I just think he decided he was going to do it his way regardless. And isn't that the job of NFL coaches. To develop these young players with so much raw talent. Bill was never going to try and develop Tim. He brought him in as a possible back up. Tebow was not going to get the back up role, and they were not going to pay to keep 3 QB. Doesn't mean Bill could not have developed him, there was just no reason to at that time. I am not saying Tebow is starting material right now. But I would sure take him over just about any other backup in the league. Good Article. He would be a good backup or used sparingly in like wildcat formations. But the nfl has a lot of quarterback talent. 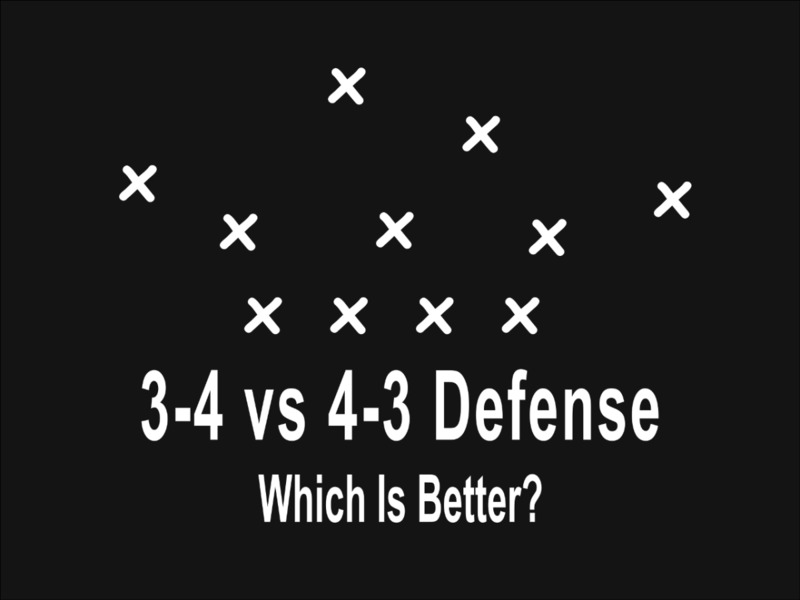 Lately when a starter goes down which is often the back up is more than capable and sometimes wins more games than the starter look at the Indianapolis Colts the Browns but still there is a need for an depth everywhere. The Dallas Cowboys desperately needed a reliable back that many other teams have. Thank you Sam Tumblin. Appreciate your comment. Personally I do not think the coaches along are solely to blame for his short stint in the NFL. I think if he would have got in a system that was willing to put a quarterback coach with him as well Tebow putting his ego aside and put the work in he would still be in the league. Example of his prototype skill set in my personal opinion Big Ben. Thanks for the post very informative!